This Dilly Dachshund is so adorable! Made by Douglas Cuddle Toy. A really soft to hold and detailed plush that looks like the real thing! 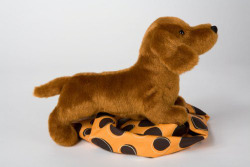 A great gift for any Dachshund fan to enjoy!